Former India captain Sourav Ganguly has been appointed advisor for the Delhi IPL franchise ahead of the upcoming 12th season of the T20 league. The 46-year-old will join the Delhi Capitals 10 days ahead of IPL 2019, and will work with the management led by Ricky Ponting, their head coach. 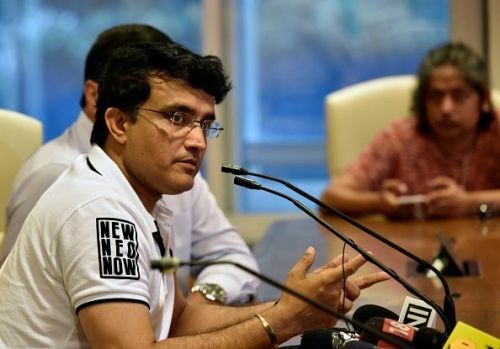 Speaking about his new role, Ganguly said: "I am very pleased to come on board with the Delhi Capitals. Having known the Jindals and the JSW Group for years, I am now excited to be a part of their latest sports venture. I am really looking forward to working with the players and the support staff". BREAKING: Tigers, say hello to our Royal Bengal Tiger! Ganguly, President of Cricket Association of Bengal (CAB), will be associating with the Delhi franchise for the first time, having played the T20 league for the Kolkata Knight Riders and the now defunct Pune Warriors India from 2008-2012. After his retirement from IPL, he dabbled in broadcasting, and also became an administrator. He is regularly seen as a TV expert on news channels. The management of the Capitals is headed by Ponting, with former India batsman Mohammad Kaif as assistant coach. Praveen Amre is the Talent Scout, while the bowling coach is ex-Australian allrounder James Hopes. Praising Ganguly's knowledge of the game, DC chairman Parth Jindal said: "Sourav is one of the most astute minds in world cricket. A lot of what we see in Indian cricket today was born because of Sourav. His aggression, positivity and never say die attitude are traits we want the Delhi Capitals team to imbibe. It is truly an honour that Sourav has chosen Delhi as his IPL team". "I have no doubt that our team will benefit immensely from his experience, guidance and advice. Sourav has been like family to me and I am deeply humbled to have him as an advisor," Jindal added. The Delhi Capitals, led by Shreyas Iyer, will begin their IPL 2019 campaign against the Mumbai Indians on March 24. IPL 2019: Can a change of name trigger a change in fortunes for Delhi Capitals?